AIG President and CEO Brian Duperreault was grilled by analysts on Valentine’s Day. In that questioning Duperreault looked ahead by looking at the past. He stared by talking about what happened before he came on board in mid-2017. The statements — and the questions — came about after AIG posted a $622 million net loss from the fourth quarter of 2018. AIG’s General Insurance arm also lost $1 billion in underwriting. Those losses come from investment income troubles and high catastrophe losses. That set the stage for Duperreault’s comments. He contends — though — that he and his new executive team have positioned AIG for its long-awaited and much-anticipated return to glory. Analysts — as you’d expect — aren’t impressed. They’ve heard it all before and many reminded Duperreault that he has promised an underwriting profit from General Insurance in 2019. “A combined ratio below 100 is an inflection point. It is by no means where we expect to be longer-term,” Duperreault added but said he hopes it will be start of something more positive. 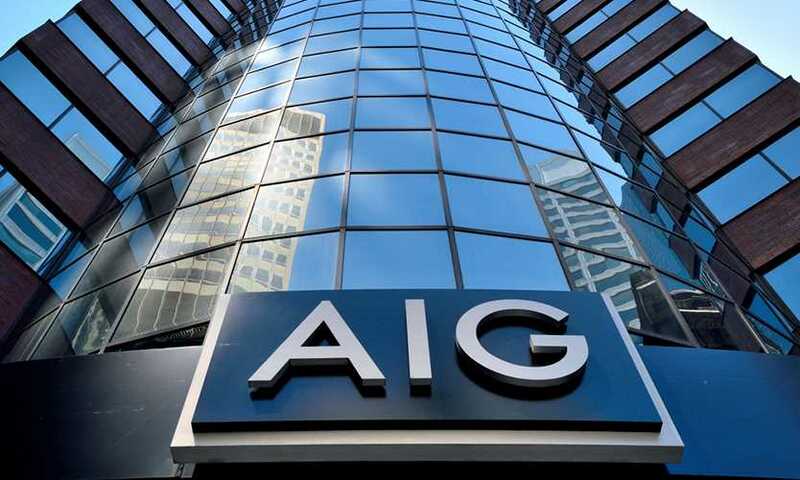 “Crossing over to profitability for the first time in over a decade is an important milestone we will achieve in repositioning AIG for the future,” he said. And with that the AIG CEO took a long look at the past. He said his biggest challenge is overcoming a past where his predecessors tried to return to the glory days of being the world’s largest and most profitable insurance company before the near collapse of the Great Recession. “While I had some understanding of the ‘go large’ strategy before I arrived at AIG, I had not appreciated the extent of the issues it created or that it had been deployed throughout the company,” Duperreault said. Those limits — written on a multi-year basis — caused the firm serious problems. That led to discussion of problems with General Insurance. They — Duperreault said — came from a private client group in 2018. In some geographic zones it had a “disproportionally large and dense accumulation” of insurance in catastrophe prone areas. Since then AIG has reduced risk which is why Duperreault thinks General Insurance will see a profit this year. The used to be world’s largest insurance company is now worth about the fifth what it was in the glory days. The value then was $240 billion. Today it’s — as noted — significantly lower and the company just posted a second quarter general insurance business loss of $89 billion. On one hand it’s a shock but on the other, it’s not much of a surprise. The company has struggled mightily since the government bailout of 2008. Struggle or not, AIG Chief executive Brian Duperreault says he remains optimistic. “We continue to work with a sense of urgency as we take actions designed to establish a culture of underwriting excellence and to leverage the strength and flexibility of our diversified businesses,” he told stockholders on an earnings call. Net income in the second quarter of this year fell from $1.1 billion in the same period last year to $937 million. The adjusted after tax income fell, too and went from $1.4 billion last year to $961 million. “Looking ahead to 2019 and beyond, our goal is to deliver top quartile financial performance relative to the industry,” Duperreault said as he promised an underwriting profit by the end of 2018. That profit could come from the purchase of Validus. “I remain confident in our team’s ability to deliver improved operating and financial performance as we continue to execute against our strategic priorities and importantly, reinforce AIG’s position as a leading global insurer, a responsible corporate citizen, and a rewarding place for our talented and committed colleagues,” Duperreault said. The one thing that needs more emphasis he noted is expense levels. Duperreault said there have been some improvements but not enough. The Federal Reserve and the Federal Deposition Insurance Corporation (FDIC) are charged with making sure banks and the insurance companies designated as significantly important financial institutions (SIFI) put together a plan to unwind safely if they get into deep financial waters. Eight of the nation’s largest banks submitted what the Fed and the FDIC are calling living wills. Now regulators from both will look at those documents to make sure the plans will really work. That’s not a given. Since the implementation of the Dodd-Frank Act, several banks have had their plans returned as unworkable. At the same time that those plans were submitted, the Fed and the FDIC told AIG and Prudential — two of the three insurance firms locked into the too-big-to-fail system (as we will note later, MetLife is the other and it sued its way out) — were given an extension. Their deadline was the end of 2017 but they’ll be given an extra year to comply. The president and his administration want to relax some of the too-big-to-fail regs and reduce the frequency in which these banks must submit plans from once a year to every other year. MetLife is the only insurance company or bank to sue and get out of the SIFI designation. One of the ways MetLife is using to get out from under the Dodd-Frank Act’s too-big-to-fail and SIFI designation is to spin off its life insurance division. The Delaware Insurance Department has approved the spinoff. That’s an important first step and it is notable that at least one state insurance department approves. But the real, final approval must come from the Securities and Exchange Commission (SEC). Once it is approved — and no one doubts it will be — the new company will be called Brighthouse Financial and will have most of MetLife’s life insurance business. In fact, the spinoff will put MetLife — currently the nation’s largest life insurer — behind Prudential Financial in life insurance asset size. Brighthouse Financial will begin its existence with $223 billion in assets and 1.3 million policyholders and 1.5 annuity owners. That’s about a quarter of MetLife’s assets. Experts think approval will likely happen by the end of August or in early September. AIG convinced — with $20 million — Hamilton Insurance Group to let its CEO Brian Duperreault go. Two other firms were involved in a complex contractural unwinding that includes AIG’s purchase of Hamilton. The Insurance Journal link at the end of this story outlines the details of how Duperreault was acquired by AIG. In accepting the position, Duperreault said he has not been hired to break up the company. “I recognize the value of the company’s multiline structure. I didn’t come here to break the company up. I came here to grow it,” he told shareholders. His predecessor Peter Hancock faced tremendous pressure to turn AIG into three separate entities and to return more money to shareholders. Hancock balked at the three entities but did return equity to shareholders. “This company has met its tremendous commitment to return capital to shareholders. Going forward, capital will also be deployed to expand and grow our businesses with the goal of building long-term shareholder value. While technology is an essential component of long-term strategy, let me be clear: I am here to grow AIG. This company has the substance in its businesses and people to pursue organic growth and inorganic growth opportunities,” he said. “Through the right combination of underwriting discipline, diversification and growth, we will build a more balanced commercial business that can deliver consistent underwriting profits. The improvement in our commercial property/casualty business will be judged by the growth in our bottom line. Growth in profitability and book value are the measures of success in our business,” Duperreault said. Once he completes his second year as CEO Hamilton will get another $20 million. With other restrictions and compensation, the total cost for AIG to get Duperreault will be something like $110 million. And that’s even if the 70-year old Duperreault no longer heads AIG due to death or disability. As for his salary. Duperreault will have a salary of $1.6 million per year with a short-term incentive target that could net him another $3.2 million. Long term he could pick up $11.2 million more. AIG founder and former firm CEO Maurice “Hank” Greenberg sued the U.S. government and said it had no right in 2008 to bailout AIG. Though AIG’s board ousted Greenberg in 2005, he remained — along with his other company Starr Insurance Holdings — the firm’s largest stockholder. In the original suit and in the 2015 court case, Greenberg claimed he and other stockholders had their stock value diminished and it cost them millions in losses. Greenberg and Starr won the case when a federal judge agreed the government overstepped its bounds. However, the judge refused to award them compensation saying it would bankrupt AIG. Greenberg and Starr appealed the financial ruling. The Federal Circuit Court of Appeals has now ruled and it tossed out the ruling that the government acted illegally and said Greenberg and Starr have no standing in any court challenge. Only AIG can challenge and AIG decided not to sue. Starr and Greenberg attorney David Boies said, “we respectfully disagree.” He indicated that they will appeal to the U.S. Supreme Court. Peter Hancock’s turbulent times as AIG’s Chief Executive Officer (CEO) are over. Four of the last six quarters say the company post huge losses. With that he — or was it the board? — decided enough is enough. Those losses hurt investors. Most notably, one must point out those losses impacted billionaire — and Hancock critics — investors Carl Icahn and John Paulson. Both — by the way — are also on the board. 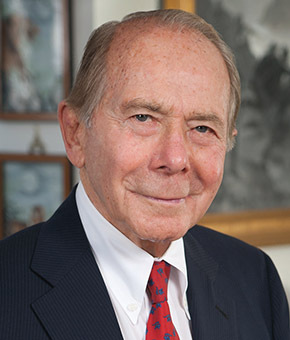 Leader after leader of AIG have struggled since founder Maurice “Hank” Greenberg was forced out in 2005. Some also had to battle the company’s near collapse in 2008. Hancock is the sixth CEO, and his replacement will be number seven since Greenberg left. Paul Newsome of Sandler, O’Neill & Partners put the change in perspective. “The broader question is how is the management team totally going to change. I suspect that the strategy will change, we just don’t know how yet,” he said. AIG & Too-Big-to-Fail — Not a High Priority? Three insurers — so far — have been designated too-big-to-fail by the Financial Stability Oversight Council (FSOC). Those receiving the non-bank systemically important financial institution (SIFI) designation are AIG, MetLife and Prudential. MetLife sued and got a federal court to overturn the designation. 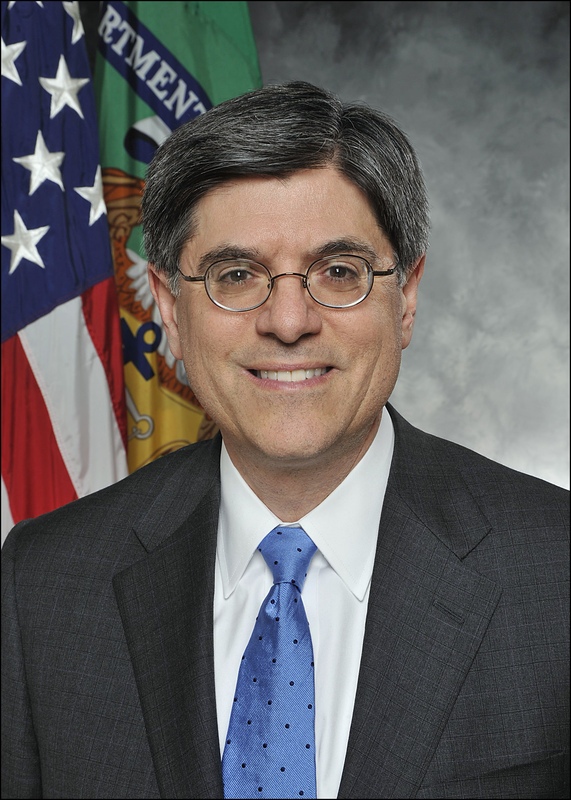 The U.S. Treasury is appealing. Meanwhile, MetLife is shedding assets to put itself under the radar if the appeal goes against them. General Electric — another non-bank SIFI designee — also sold assets to have the designation removed. AIG could do the same thing but CEO Peter Hancock says that’s not a high priority right now. He’s more interested in pumping up the company’s returns. “Of all of the strategic issues that we face as a leadership team, this doesn’t even make the top 10,” he said. And guns in this case means job cuts and selling assets to simplify the company. Plus, Hancock says the designation removal is overrated. “It’s not like you remove this label and suddenly you’re an unregulated company. We’re constantly navigating these multiple constraints in a way that keeps us focused on our true north, which is being really well capitalized to serve our customers,” Hancock concluded. The U.S. Treasury and its Dodd-Frank Act financial regulating Financial Stability Oversight Council (FSOC) were dealt a blow a couple of weeks ago when U.S. District Judge Rosemary Collyer said MetLife and its financial condition are not a threat to the U.S. economy. Judge Collyer criticized the FSOC’s secretive decision-making process and its analysis of the facts. Her written decision said the FSOC’s reasoning is fatally flawed. “This court cannot affirm a finding that MetLife’s distress would cause severe impairment of financial intermediation or of financial market functioning — even on arbitrary-and-capricious review — when FSOC refused to undertake that analysis itself. Predictive judgment must be based on reasoned predictions; a summary of exposures and assets is not a prediction,” she wrote. So the systemically important financial institution (SIFI) designation is null and void. At least so far. The International Monetary Fund (IMF) agrees. It is urging putting more regulations on insurers. The IMF says the pose a greater threat to the world’s economy today than they did before and during the Great Recession. The Global Financial Stability Report says life insurers pose the greatest risk. • Poor underwriting and equally poor investment returns led to an operating loss of $1.3 billion. • Operating income hit $1.4 billion. • P&C losses were $2.3 billion. That leads to a net loss of $1.4 billion and compares to a profit of $655 million in the fourth quarter of 2014. • After tax operating income — $2.9 billion. • That’s down from $6.6 billion in 2014. • Net income dropped more than 70%. • It went from $7.5 billion in 2014 to $2.2 billion in 2015. AIG’s leadership promised changes and results. It started with a cut of 400 senior positions toward the end of the year and last week cut two more major positions. Brian Schreiber — who ramrodded a bunch of billion dollar deals from 1997 to 2008 and then in 2008 helped shrink the company — has decided to move on. So has Seraina Maag who ran regional operations since 2013. “I have served AIG with dedication and distinction for nearly two decades, With AIG’s strategy developed and moving forward, I now have decided to pursue new opportunities,” Schreiber said. And Hancock said the blood-letting isn’t done. He’s going to do away with 20% of the company’s top 1,400 execs. Hancock is also doing some reorganizing and named some changes last week. Jeff Hurd is the new COO and he will be responsible for transformation, administration and human resources. He’ll also oversee marketing and communications and global business services. “The outcome of this effort is a new organizational design structured around clients, capabilities and market opportunities. It gives business leaders at different levels of the organization much greater end-to-end accountability for results and greater transparency into those results,” Hancock said. He noted the company has returned close to $12 billion to shareholders from share repurchases and dividends. All this leads back to Greenberg. He said the short-term relief stressed by Hancock puts longer-term challenges at risk. And with Hancock letting Icahn and Paulson deeper into AIG’s decision-making is a huge negative. Greenberg also agrees with Hancock that AIG needs to stand pat and stay diversified. A diversified company — he notes — has more advantages.